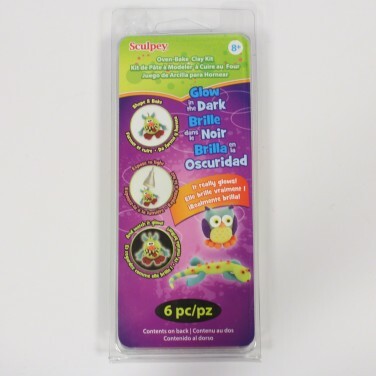 Shape, mould and and then bake your very own creations with this oven bake clay kit and see your works of art glow in the dark! 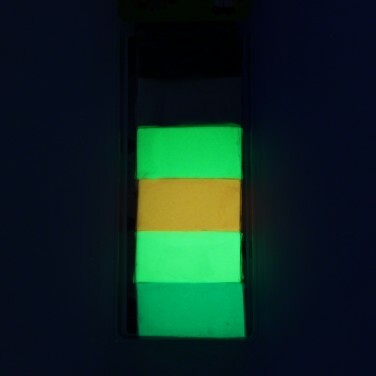 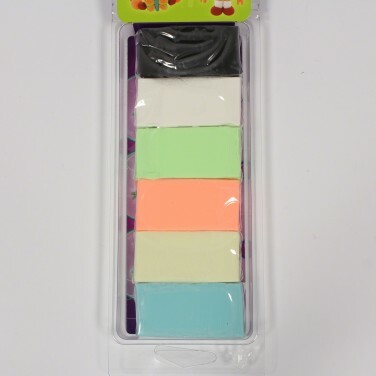 This Sculpey clay kit includes four glow in the dark bars in blue, orange, green and natural glow and then a bar of white and a bar of black clay to add definition to your glowing designs. 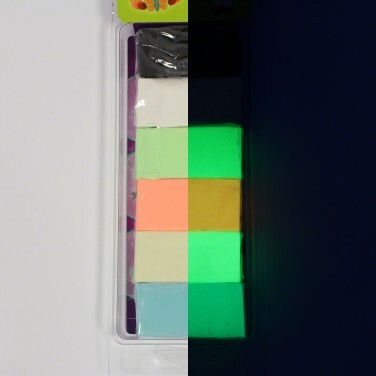 Simply shape your creations, from aliens, to animals, characters, pots and more, bake in the oven for 15-30 minutes to set and then expose to light allowing your artwork to charge before turning out the lights to see it glow in the dark!